Soon Microsoft’s Skype will be facing serious competition from the search giant, Google. If you remember, Google had teased two new apps, Allo and Duo at this year’s I/O developer conference in May. While Allo is supposed to be Google’s new smart messaging application with an assistant built into it, Duo is a brand new one-on-one video calling app made to be used across Android and iOS. Well, the Mountain View, the California-based company has officially announced in a blog post that Duo has now started rolling out on Android and iOS in few regions with the “next few days” spreading the app “worldwide.” The company feels that this one-on-one video chatting app will feel more “human” than others currently on the market. Duo is a 1 on 1, end-to-end encrypted, video chatting application that aims to make video calls as simple as possible. All you need is your telephone number to get started, and the app allows you to connect with people in your smartphone’s contacts list. Using the app, you can reach anyone else based solely on their number. The app is built to work even if you are on a slower network. It also switches between Wi-Fi and cellular data automatically without dropping your call. Duo can also automatically reduce video resolution so that your important personal and business interactions are never interrupted. Further, the application has a feature called “knock-knock” that allows the recipient of the video call to see the person calling right from their lockscreen before even answering the call. 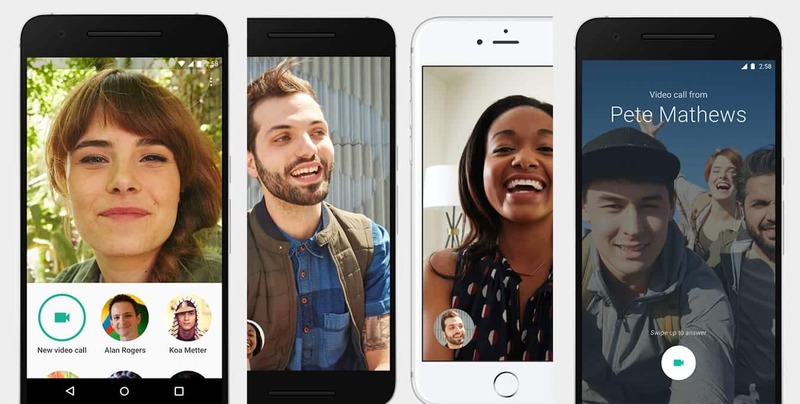 Google says it “makes video calling more spontaneous and welcoming,” giving you a sense of what the caller is up to and why they want to chat. However, the knock-knock is an Android-only feature. Right now the App page on Google Play says you have pre-register with Google and you will be notified about the availability later while iPhone and iPad users can download it from iTunes here. If are willing to take the risk by installing the APK before its official release, you can download it here.